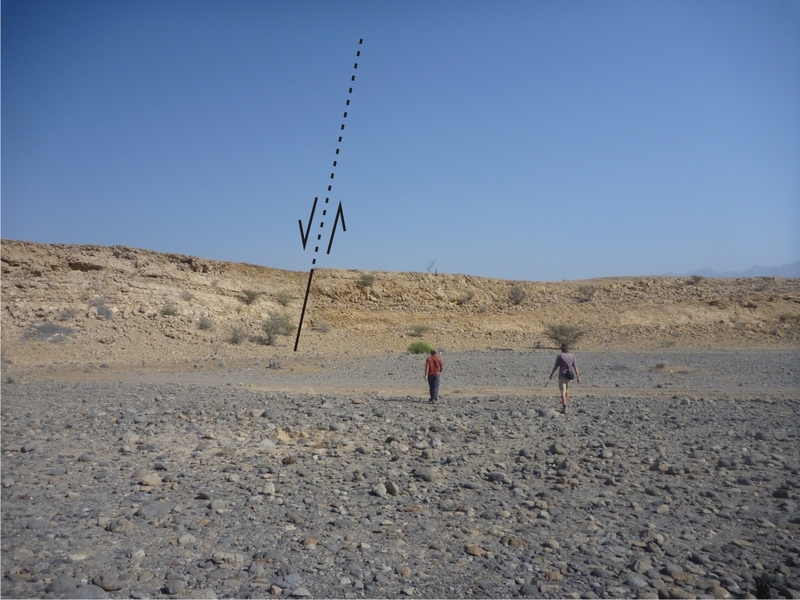 I am currently at GUtech in Oman, a sister university of RWTH Aachen University, for teaching Geophysics and I spend most of the free time in the field with my colleague Gösta Hoffmann. 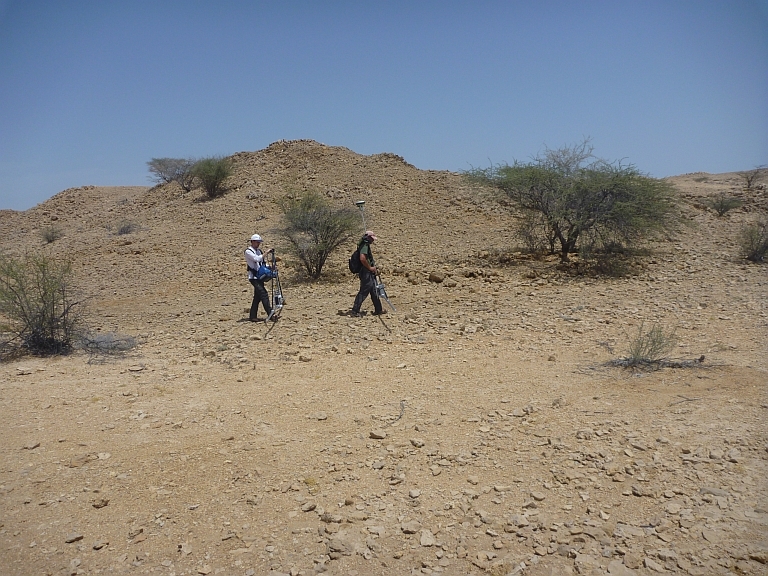 On Friday we went to the Batinah area NW of Mascat to look for active faults. 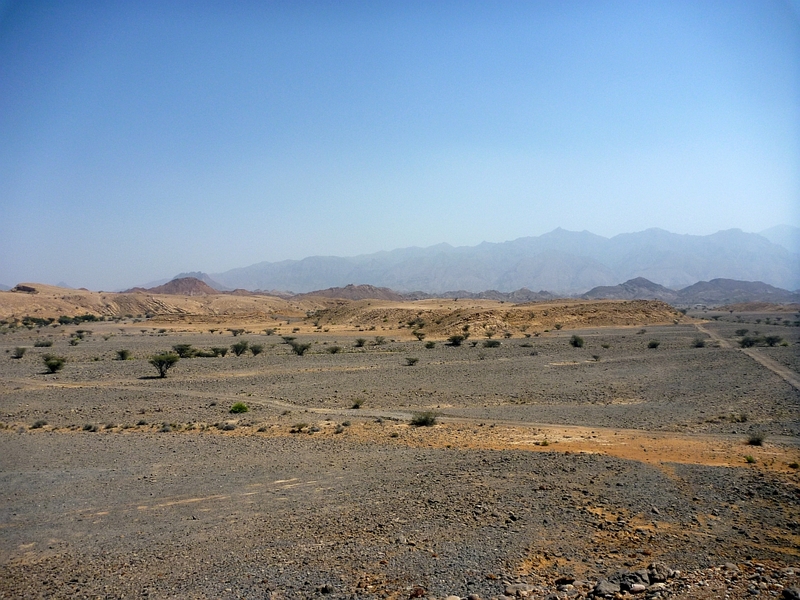 The Batinah is a plain of most likely Quaternary age, made up from the sediments delivered from the huge mountains in the south. Folded Tertiary limestones are cropping out close to the mountain range. 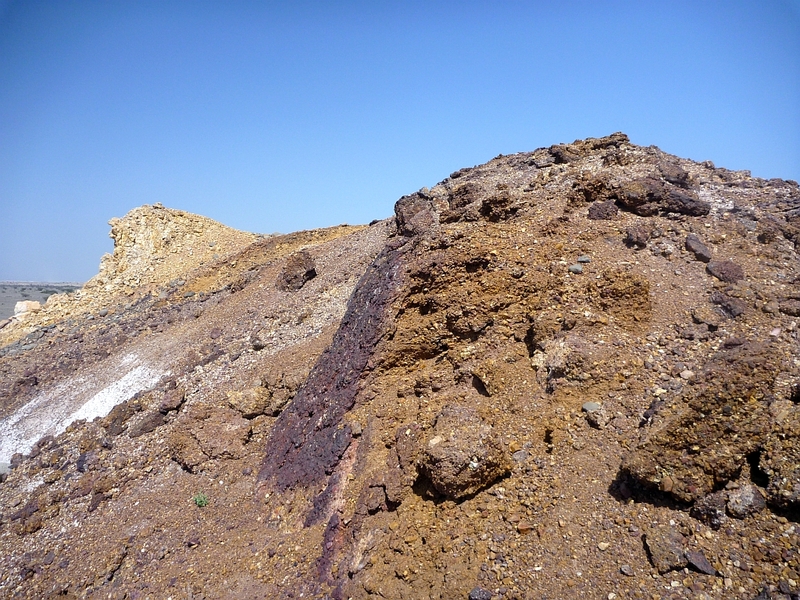 Some of them are covered by Quaternary gravels, others aren’t. We went there to check if this might be due to relatively recent fault activity that caused some blocks to be uplifted. Quaternary gravels (gray) and folded Tertiary limestone ridges (yellow) in the Batinah plain. A fault cutting through the Tertiary sediments, but how old is it? Does it affect the Quaternary, too? Slickensides and fault zones are visible in few places and only in the Tertiary. Since the area is not sufficiently mapped until now, we need to get more information on the dip of the strata and the folds’ geometry before we can create a structural model. We decided to try low frequency georadar (GPR) measurements on a cross section perpendicular to the suspected faults for imaging sediment geometry. Using an unshielded GSSI 20 MHz antenna we aimed on penetration depths of around 20 – 50 m in the best case. We took a differential GPS (DGPS) with us to record the topography of the profiles. This allowed us to correct the GPR data. Gösta (right) and me (left) carrying the antenna. 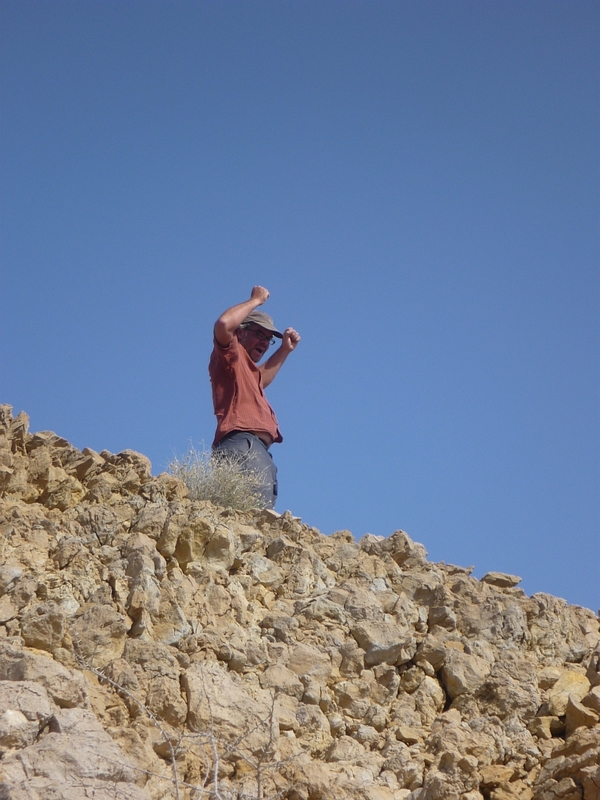 Hard working geologists in the Omani desert. The radargram is disturbed by the radio signals of the DGPS antenna. Of course, these patterns can easily be identified and we will not confuse them with dipping reflectors. The radargrams are not quite clear, and I will try to improve the data processing. Maybe there is some more information hidden that we can combine with the mapping results. There are faults, but how old? Read more about Gösta Hoffmann’s research on the short- and long-term environmental changes along the coastline of Oman here and here.